Maga, Traitor to Mortals at StarCityGames.com! Card Text: Maga, Traitor to Mortals comes into play with X +1/+1 counters on it. 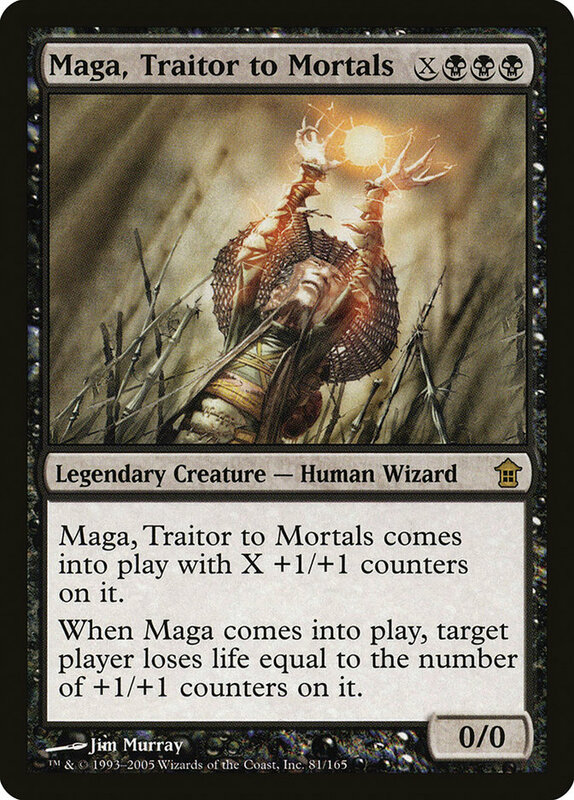 Oracle Text: Maga, Traitor to Mortals enters the battlefield with X +1/+1 counters on it.